What is the Most Expensive Coffee in the World? I think you’ll agree that Central American coffee beans are among the highest quality in the world. And, Mexico Coffee Brands take full advantage of using their own home grown beans. In this post, I will share our research that went into finding the top Mexico Coffee Brands. Our research touches topics like the Mexican Economy, where high quality beans grow, eco-friendly farming, and many other factors that go into growing the best Mexican coffee beans. Do You Want the Best Mexico Coffee Brand? You might not know that Mexico Coffee Brands actually make up a significant amount of coffee that is grown around the world. As of 2012, Mexico as a country was 10th in the world in terms of green coffee beans production. So, Mexico is no slouch when it comes to coffee bean production. 2 Where Are The Mexican Beans Grown? 3 Is It Safe For You To Drink Coffee In Mexico? Although Mexico excels in many products including cars, electronic equipment and machine engines, agriculture makes up approximately 5% of the Mexican GDP. The agricultural crops that Mexico exports employ about 18% of the Mexican population. Although, a fair amount of the agriculture includes other crops like corn, wheat, and soybeans, coffee beans are still a significant crop producing over 5 million bag (661,380,000 pounds) per year. With Mexico ranking around 15th in the world in term of GDP as a country per year, this puts Mexico surprisingly high in the amount of coffee beans produced world wide. Where Are The Mexican Beans Grown? When you are looking for the Best Mexico Coffee Brands, look for these names on the packaging and in the literature. Mexico has also been an adopter of “organic” practices making it one of the world’s largest producers of organic coffee beans. Chiapas is the southern most state of Mexico and borders Guatemala. Being so far south, this Mexican state has a very humid and tropical climate that is great for growing coffee beans. Soconusco is near the very southern tip of Chiapas and is a key coffee bean farming community. In the late 1800s, German colonies were formed and quickly cultivated the land into coffee bean plantations. By the turn of the century (1900), over 11 million kilograms of coffee had been harvested. Nearby volcanos help to give Chiapas soil the minerals that are the hallmark of coffee beans with great flavor. Just north of Chiapas is the Mexican state of Oaxaca. The Sierra Madre de Oaxaca System of mountain ranges provides rich soil and cool climate for great coffee bean growing. The city of Pluma Hidalgo in Oaxaca is responsible for producing one of the more well known “luxury” coffee beans named “Pluma gourmet coffee” after the city’s name. Oaxaca is also very diverse in biological plant in animals as it ranks among the top three states of Mexico for plants, reptiles, amphibians, and mammals. The Mexico state of Puebla includes one of the larger metropolitan cities in Mexico. The name of the city is also Puebla. While Puebla is one of the top five coffee bean states in Mexico, the big city life of Puebla dominates the activities of this state. Puebla state is located in southern Mexico between the Sierra Nevada and the Sierra Madre Oriental mountains. The state of Veracruz hosts the city of Heroica Veracruz that sits on the shores of the Gulf of Mexico. This major port help to make Mexico a major exporter of coffee beans by serving the state of Veracruz as well as the neighboring state we previously talked about. If you see any of these names on your coffee bean product, you’ve done a good job picking out your Mexico coffee brands. Often the special notes from gourmet coffee beans come from other crops like these that grow nearby. Is It Safe For You To Drink Coffee In Mexico? There isn’t really just one answer to this question. Since you generally serve coffee hot, if your coffee is hot enough, the heat should kill most bacteria that typically is the cause of Montezuma’s revenge. Also, if you are staying in resorts while on vacation, most of the nicer resorts do filter their water to prevent having issues for their customers. How many repeat visitors, or even new visitors will go to a resort get after a customer has spent their entire multi-thousand dollar vacation in the bathroom. All it takes is one review like that to have that tourist money dry up. First of all, why are shade grown coffee beans better anyway? Farmers that follow guidelines can be certified as Shade Grown. So, look for that on the label if you are interest in promoting eco-friendly Mexican Coffee Bean brands. This wouldn’t be a complete article without mentioning coffee beans grown from Altura Coatepec Mexico. Altura Coatepec coffee beans source from the Veracruz mountain regions and are top of the line. The word Altura means “height” in spanish. And, that’s just what you get when you purchase Mexican Altura coffee beans. You get coffee beans grown in mountain regions. Which in turn provides you the height of taste! The Oregon company Ahh…Cupella takes advantage of the Altura coffee beans with this premium gourmet product. The coffee beans used to create this Mexican Altura Pluma grind are shade grown and wet processed to provide a crisp, clean taste. This coarse ground coffee provides a mild flavor. Use an extra scoop if your taste is a stronger cup. Mexican Altura Pluma grinds are made from 100% Arabica coffee beans. The body is light, but with full flavor and provides a smooth sweet taste. Above we talked about four of the top regions in Mexico for growing coffee beans. Now we will explore the best Mexico coffee brands from each of these regions and why they are the best in region and candidates for best from Mexico. With a wide variety of Chiapas coffee beans to choose from, it still wasn’t hard to see that the folks at Wild Coffee have the best Chiapas has to offer. We’ve reviewed products from Wild Coffee before and have not been disappointed with their quality. Wild Coffee imports coffee beans from all over the world into Austin Texas, and always follows Free Trade protocols (always look for the Free Trade certification label) with farmers that only use organic growing methods. Wild Coffee also always uses single source beans in all of their products. 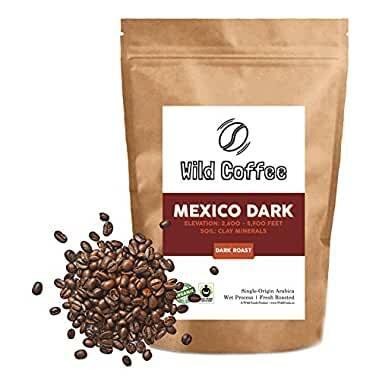 This Mexico Dark product uses shade grown coffee beans that are friendly for the birds in Mexico. The beans in the product are wet processed 100% Arabica coffee beans to provide a crisper taste. For this Mexico Dark product on Amazon, 96% of the reviews have given five out of five stars (be sure to filter on “Mexico Dark” in the reviews to see only those reviews). Only one person didn’t give five stars, and they gave four stars and the following comment “Dark and rich without being bitter“. You don’t find this type of lop sided set of reviews very often. So, we don’t see how you can go wrong with this Wild Coffee Mexico Dark product! The region of Oaxaca doesn’t have the same abundance of coffee beans that the other regions of Mexico have. But, Simpatico Coffee provides their “low acid” coffee that is a winner (literally; see below). Simpatico Coffee had so much confidence in their coffee, that they entered a blind taste test to prove it. The results were unanimous from the judges as Simpatico crushed the competition. 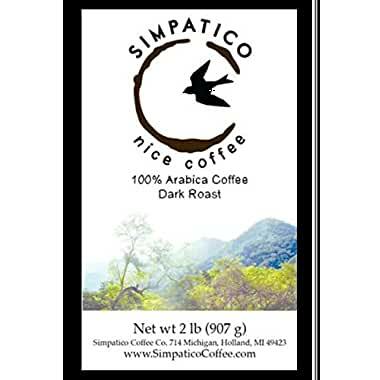 Simpatico imports the beans in this product from Oaxaca small family farmers that shade grown their coffee beans and harvest using traditional methods. They are also very proud that after they import these coffee beans to their headquarters in Michigan, that they use the Revelation Roaster to get their perfect roast. Simpatico invested in the Revelation Roaster as a part of their green initiative to roast with zero emissions and lesson their carbon footprint at each step in their process. So, if you are looking for a partner in environmental issues for your coffee drinking, Simpatico is a great company to go with. For those who love the taste of dark roast, but their stomach can’t take the high acidic content that typically comes with a dark roast, this coffee is a very nice alternative. While researching Puebla coffee beans, not very many products claim single source from Puebla. But, we did find a few. And, we loved the story the folks at Baja Beans Roasting Co. have. The folks at Baja Bean Coffee decided one day to pack up their things in Vancouver Canada and move to Mexico. Landing in the Baja Peninsula, in El Pescadero, they set up shop opening a local coffee establishment. Soon after arriving in Mexico, they needed to pick the coffee beans they wanted to use in their new brand. On a trip to Mexico City, they made a contact and found a Finca (coffee plantation) from the Sierra Madre Oriental in Xicotepec, Puebla. Baja Bean Coffee Co. found the coffee bean that they wanted to represent their brand. All of Baja Bean Coffee Co’s coffee beans are UTZ certified for sustainable farming. The Pueblo coffee beans are shade grown under macadamia nut and pine trees that help to influence the incredible notes that you get from a cup of Baja Midnight. Each batch of beans are roasted in small batches with individual care. 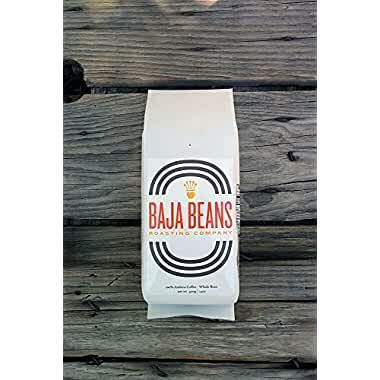 Baja Midnight is a medium roast that is described by Baja Bean Coffee Co a having a combination of grapefruit and fresh meadow grasses. These coffee beans grow from the Garnica varietal of Arabica trees. Garnica is one of the oldest (if not the oldest) coffee bean trees in existence. While researching Veracruz coffee beans, it was very difficult finding a brand that people consider to be “good”. So, even though Veracruz is one of the more prolific regions in Mexico when in comes to coffee bean production, it apparently is ho hum when it comes to taste. Even though we couldn’t find anyone we could endorse, we did find a few potential candidates. The first was the Kaldi’s Coffee company. However, even though this article talks about how good their Mexico Coatepec is, we couldn’t find where Kaldi’s Coffee is still selling that brand. The second potential candidate was Blue Bag Coffee. They have a very good description of their coffee on this link. But, we couldn’t find enough reviews to convince us that these coffee beans are in fact very high quality. The third potential candidate is La Parroquia de Veracruz Mexican Mountain Grown Gourmet Coffee. They import their coffee beans from Veracruz. They claim La Parroquia is the most famous Cafe in Mexico. Even though a couple of consumers found this coffee top notch, there just isn’t enough background on this brand to give it our endorsement. We are going to pass on selecting the “best of” for Veracruz Mexico. Since we didn’t give you a recommendation for any Veracruz Mexico coffee brands, hopefully we can make up for that with a Keurig recommendation. We know a Keurig has a hard time competing to the fresh taste of a freshly ground coffee bean. However, sometimes you are out and about and can’t dictate your brewing method. Or, perhaps your busy schedule dictates that you save a few minutes in the morning by just popping in a pod and pressing Brew. In that case, if a Keurig handy, and you’re perusing your selections, we found this K-cup product that is worth giving a try. 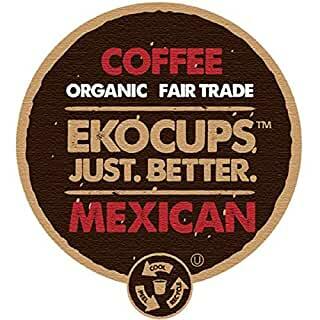 These K-cups from EKOCUPs provide you the wonderful Mexican Chiapas flavor with hints of nuts, and a spicy medium body with a crisp finish. The beauty of EKOCUPs is that when you are done with K-cup, you get to toss it into your recycling bin instead of filling up our landfills. The coffee in this K-cup originates from 100% organic Fair Trade coffee beans. The body is strong and robust with a sweet finish. Most consider this coffee to have a medium roast. For those with nutritional restrictions (whether personal choice, medical, or religious), this product is advertised as gluten free, lactose free OU Kosher and Vegan. Read more information about coffee beans and where they grow in this article about coffee bean locations. If the EKOCUPs sound great, but you don’t have a Keurig. Use this article to pick the Best Keurig Coffee Maker. It turns out that there is some really great farmland in the southern regions of Mexico. And, the Mexican coffee economy is thriving, especially in Southern Mexico. The Southern region of Mexico has farming that is far enough south to take advantage of ideal coffee growing climates. And, elevations that include soils rich in minerals. This Perfect Storm of ideal agriculture is allowing Mexico to becoming more and more a prominent name in coffee. The folks from Mexico have figured out that there is no reason that with these same elevations and same rich soil, that Mexico can’t compete very well with the world wide leaders in coffee production. We hope you enjoyed our research into the Best Mexico Coffee Brands. We enjoyed doing the research. I purchased some Cafe Pluma de Altura coffee at the Huatulco Airport. (De sombra, Seleccionado a mano). I would like to purchase more. Where can I purchase more? Thank you for your interest in our Coffee Bean Menu web site. 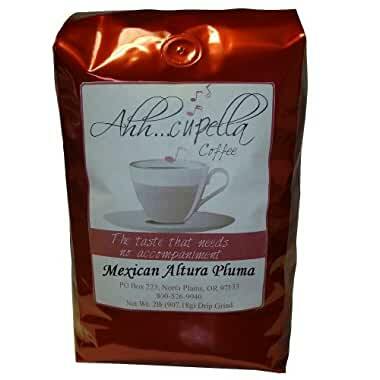 On this page where we talk about “Ahh… Cupella Premium Gourmet Mexican Altura Pluma” coffee. If you click on the image, or the button below the image, it should take you to Amazon where you can purchase more of this great coffee. There are many great coffee brands in Veracruz, but people from here are not used to drinking good coffee (Mainly because the lack of knowledge, and also because good brands are exported to other countries). Its flavor has hints of chocolate, hazelnut, vanilla, tangerine, orange and maple syrup. Has a very rich and buttery body and high acidity. The bean comes from Garnica varietal and it is recognized as Specialty Coffee. Another very known coffee brands from Veracruz (but not as good in quality) are: Bola de Oro, Cafe Andrade and Cafe La Parroquia. These 3 are franchises, but they are more focused on quantity than quality. The less known from those 3 is Cafe Andrade and I dare to say is the one with the better taste. Thank you for your expertise. And, thank you for sharing some additional details about quality Mexican coffee! While it was a little difficult finding Veracruz coffee beans, there were a few companies that I mentioned in this article that source their coffee beans from that region. One of them stopped making that particular product. But, if you search on this page for “La Parroquia”, you can click on the link to get to that brand. Or, another lesser known brand is Blue Bag. There is a link in the article in that same section for Blue Bag. Drink Coffee To Lose Weight Fast? Friends of The Coffee Bean Menu: We would also like to introduce you to our friends at Dazzling White Teeth HQ. If you are a daily coffee drinker, you may find their advice useful to eliminate any teeth stains that might haunt you as an avid coffee drinker! The views and opinions expressed in the articles posted on this website are presented in good faith and are strictly our own opinions.